How to convert MPC to AAC fast? 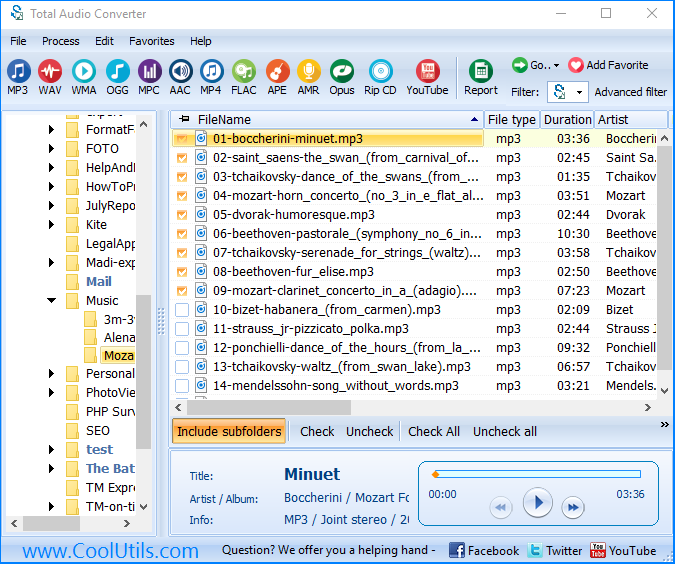 You are here: CoolUtils > Total Audio Converter > How to convert MPC to AAC fast? If you cannot play your MPC tracks on iPod or other Apple devices, this format is simply not supported by your player. 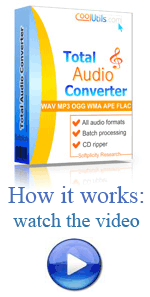 You need to convert MPC to AAC format using Total Audio Converter. 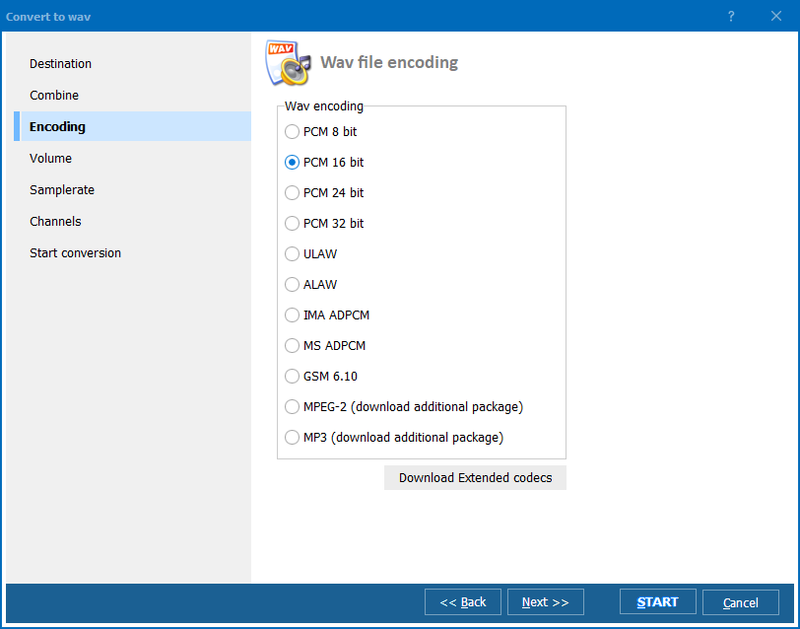 This program perfectly manages with converting audio files to all major formats. You will have two variants: convert each file to a separate AAC track or combine all into one. In the second variant you will get a track that contains all sources, played one after another. Quality is also adjustable. You can set MPC converter to minimum quality and get the smallest file size. By default the program converts files saving the original quality. Total Audio Converter works in a few modes. You can use graphic interface to run through the settings and enable conversion. To convert only one file, you can click on its icon by the right mouse button and use 'convert to' option in context menu. For converting MPC to AAC you can also use command line (cmd dialogue in Windows). This way the program will show only progress bar and then open a folder with converted files. 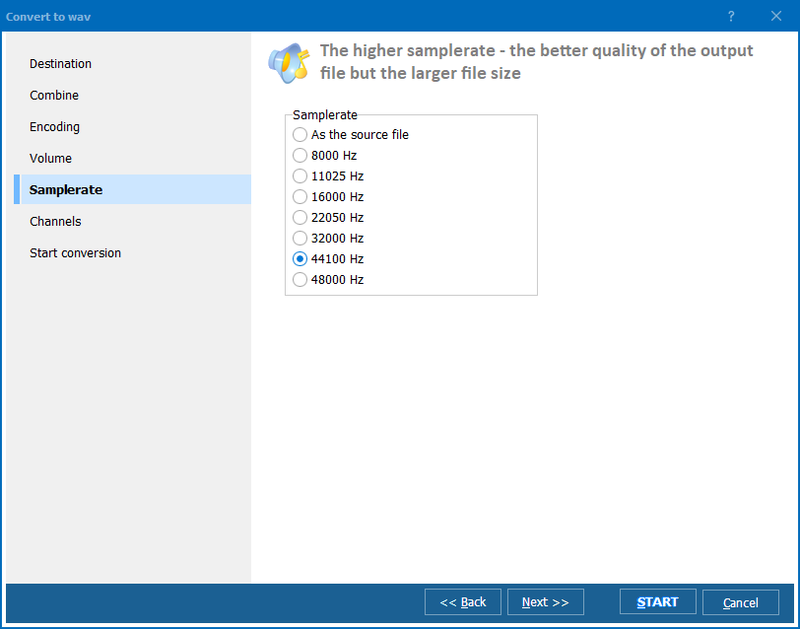 You can download Total Audio Converter in a trial version. It is available with full pack of functions, you can test them all for free during 30 days. Try it now! How to convert APL to MPC easy? Convert OGG to MPC with comfort. Convert files from MPP into MPC. Convert APE to MPC efficiently. Convert CDA to MPC like a Pro!